On 20-21 December 2016, over 50 policy-makers, justice professionals and other experts gathered from around Central Asia for a workshop convened by the UN Office on Drugs and Crime – in co-operation with PRI and hosted by the Government of Tajikistan – in Dushanbe, Tajikistan. Discussions centered around the importance of rehabilitation programmes in prison, in line with the UN Nelson Mandela Rules. Dushanbe, 20 December 2016 – Over 50 policy-makers, justice professionals and other experts from Central Asian and other countries gathered at a regional workshop in Dushanbe, Tajikistan, from 20 to 21 December 2016, to discuss promising practices and existing challenges related to the management of prison-based rehabilitation programmes. 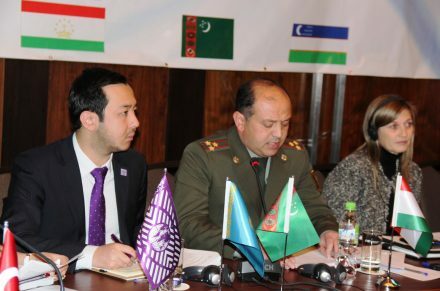 During the workshop, hosted by the Government of Tajikistan and organized by the United Nations Office on Drugs and Crime (UNODC), in cooperation with Penal Reform International, participants emphasized the need to strengthen education, vocational training and work programmes in prisons in line with international standards and norms. Download the press release in Russian/Пресс – релиз.